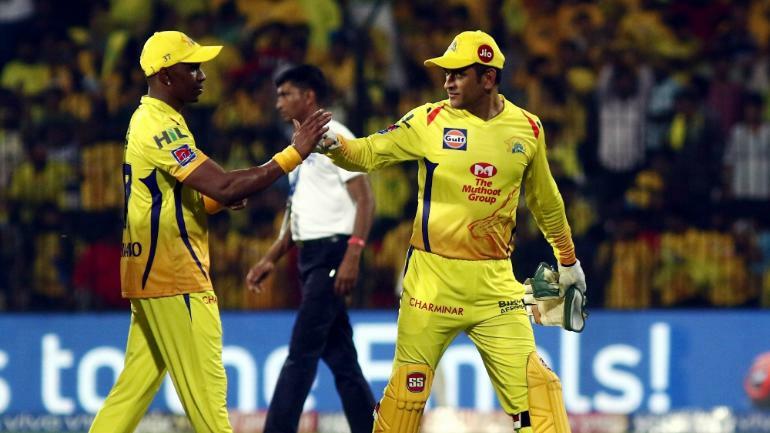 IPL 2019 RR vs CSK Preview: Rajasthan Royals will host Chennai Super Kings at the Sawai Man Singh Stadium in Jaipur. CSK defeated Kolkata Knight Riders at the Chepauk and are the top of the points table with victories from six encounters. MS Dhoni shone in the previous encounter after coming in to bat with his team struggling at 27/3 within 5 overs. MS Dhoni remained unbeaten of 75 off 46 balls, hitting three consecutive sixes off Jaydev Unadkat to end the innings on a high. Problems are aplenty for RR as the side has not been ale to convert a good show into victory and with the opposition like CSK. Dwayne Bravo will be come back after he was injured and rested for two matches . Skipper Ajinkya Rahane, Rahut Tewatiya and Ben Stokes too have been below par with the bat. To add to their woes, RR don’t have the depth and bench strength to overcome the though situation. Ambati Rayudu is they key batsman for CSK as he has the ability to shift gears. Imran Tahir keeps the batsman on a leash while Ravindra Jadega not concede much runs. The temperature hovering in between the 31 to 34 degree mark during the course of the match. As per last three match, two of them were won by the team, batting second. Pitch will be slower than the usual in the previous game against KKR. Both have faced each other 21 matches so far with CSK have won 13 match, and RR have won 8 matches. As Rajasthan Looked poor against KKR in their previous game. CSK will be expected to pick up their third win on the trot when they travel to Jaipur. Rajsthan Royals Playing XI: Jos Buttler, Ajinkya Rahane, Steve Smith, Prashant Chopra, Ben Stokes, Jofra Archer, Rahul Tripathi, Shreyas Gopal, Krishnappa Gowtham, Dhawal Kulkarni, Sudhesan Midhun. Chennai Super Kings Playing XI: Faf du Plessis, Shane Watson, Suresh Raina, MS Dhoni, Ambati Rayudu, Kedar Jadhav, Ravindra Jadeja, Scott Kuggeleijn, Harbhajan Singh, Imran Tahir, Deepak Chahar.